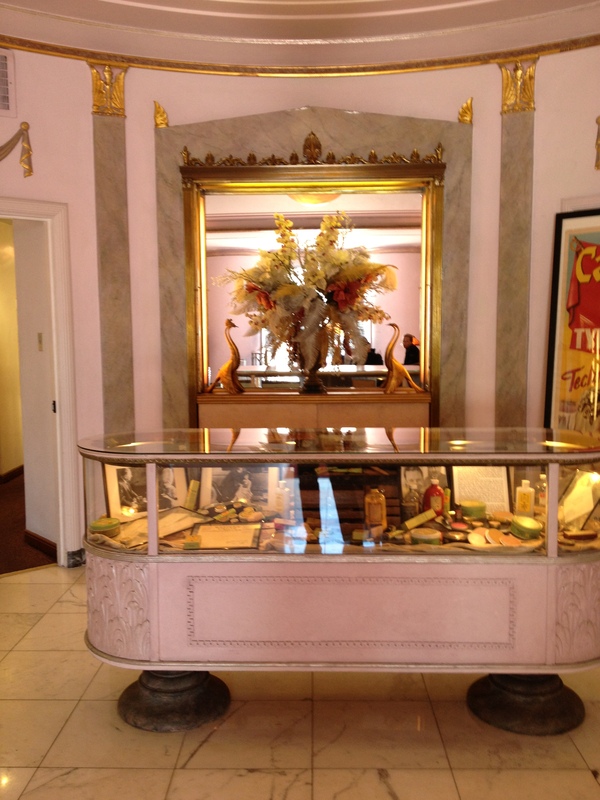 Max Factor, “the father of modern make-up,” bought a building in Hollywood and turned it into the ultimate salon for movie stars and the public. Glass bits in the columns sparkle in the afternoon sun. He took this plain storage facility and had it decorated in Hollywood Regency Art Deco. 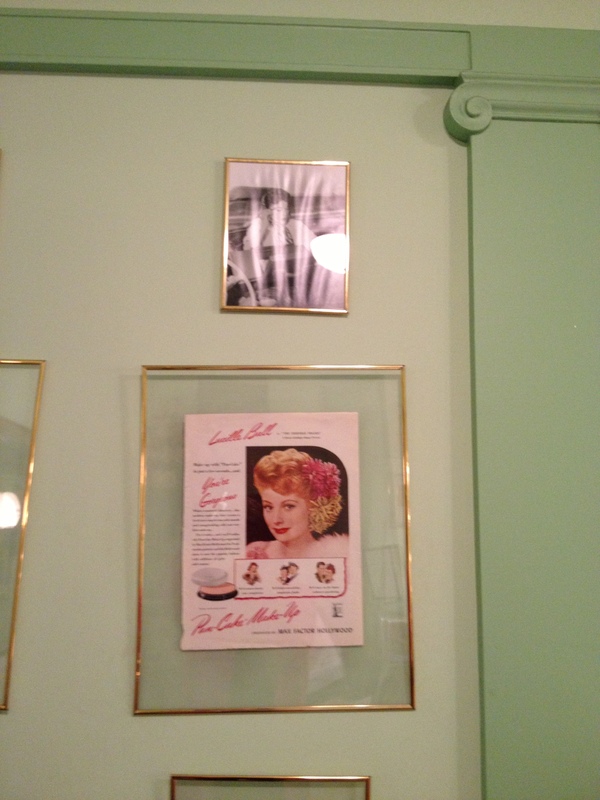 He had four make-up rooms for women of different hair color. Each was painted to flatter a woman’s complexion, a woman with that hair color. 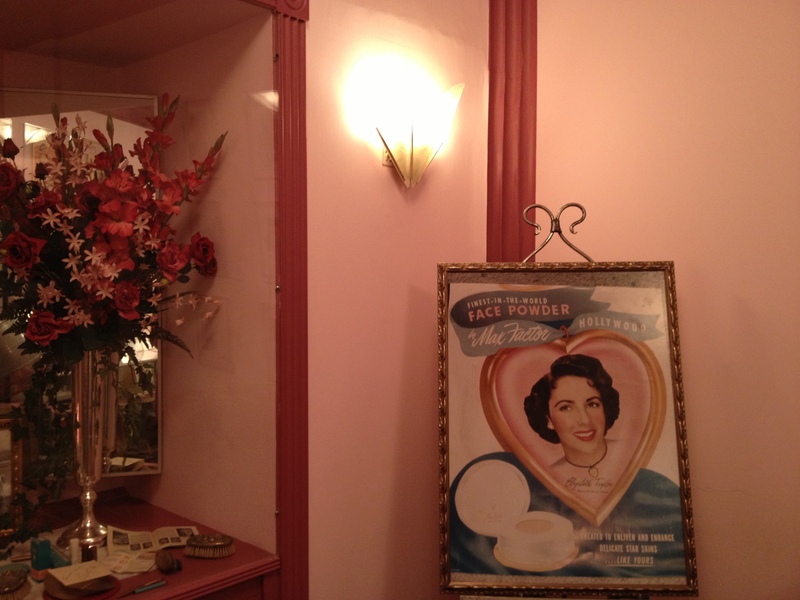 In this blue room, Max Factor turned Marilyn Monroe into a blonde. That’s a dress she wore when entertaining troops oversees. 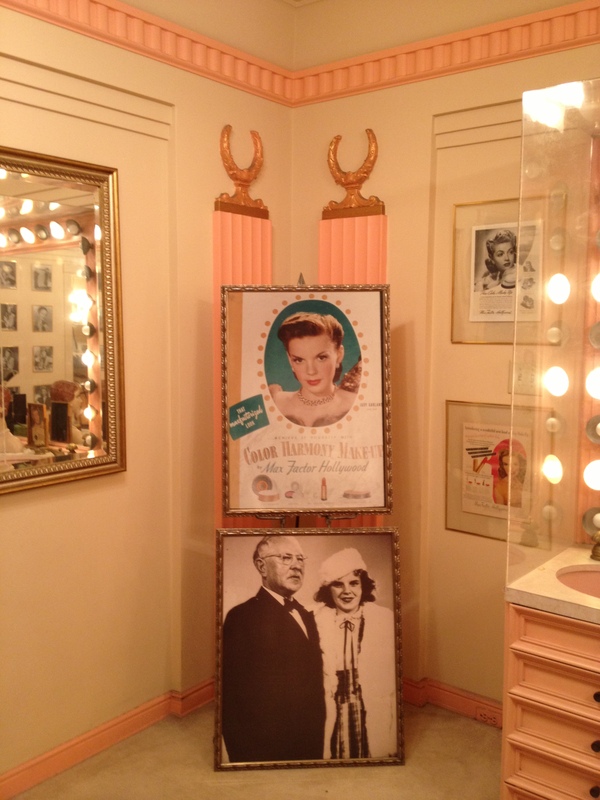 The natural brunette Lucille Ball, who had been a platinum blonde showgirl, became a redhead in this green room. She looks lovely in this magazine ad for Max Factor cosmetics. These ads always stated the title of the star’s current movie. 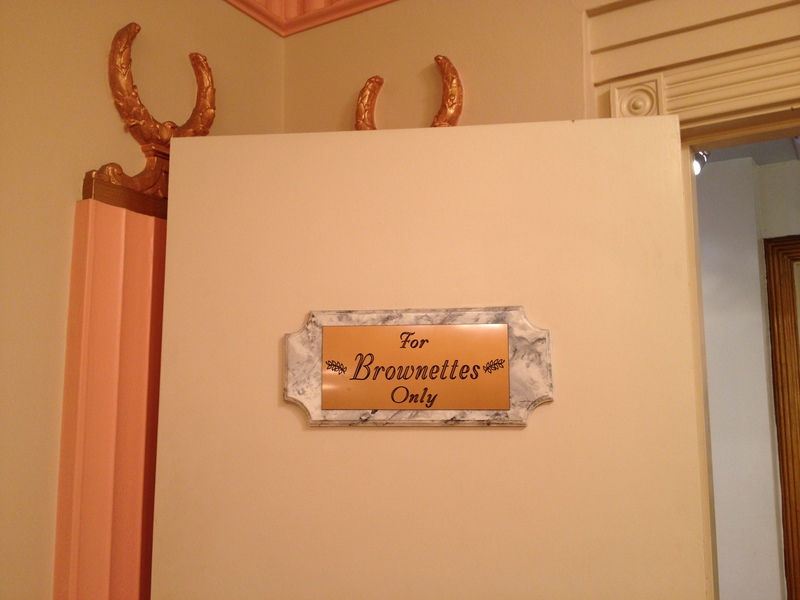 The room with the sign on the door “For Brunettes Only,” was for dark-haired beauties like Liz Taylor. The pink walls flattered these ladies. One more room. One more hair color. A brownette has brown hair with reddish or blondish highlights. Here is Max Factor with brownette Judy Garland at age 13 or 14. 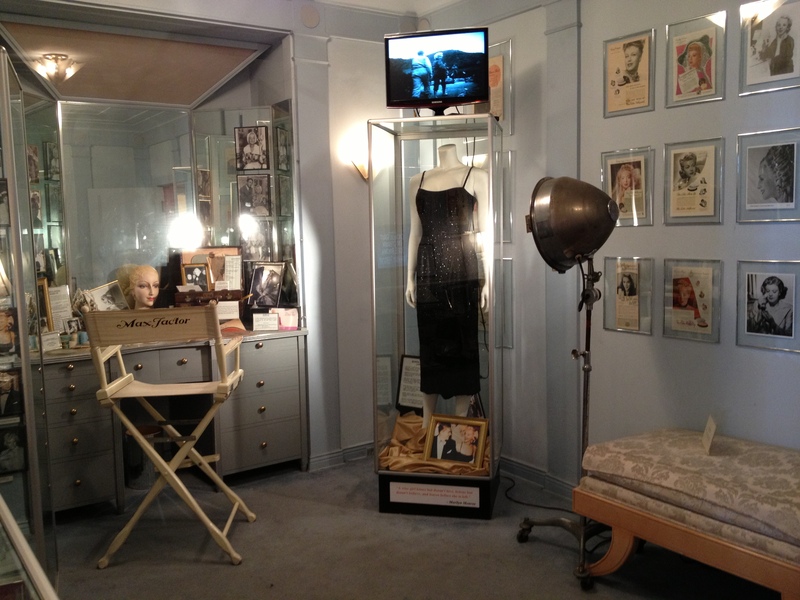 These rooms are only part of the Hollywood Museum, which has thousands of photos, costumes, and other items from old and recent movies and television. 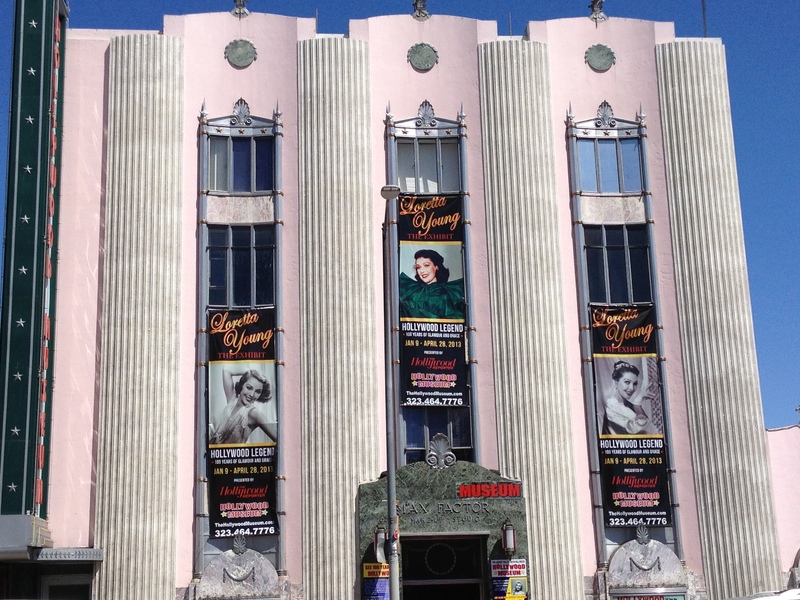 So if I have this correctly, the current Hollywood Museum is in the former Max Factor building on Highland Avenue? This looks like a fantastic tour. I love your photos. Yes, that’s right. Museum is open, but you need to organize a group of 12 for a tour. Nice to see you at the L.A. Times Festival of Books. I just missed your signing of Camelot & Vine. Maybe I’ll organize a group of 12! Thanks Pam, I want to read and see more! Thanks for takingcopious notes, I was wondering why you were doing this??? I missed quite a bit of Steve’s presentation trying to keep the group together.